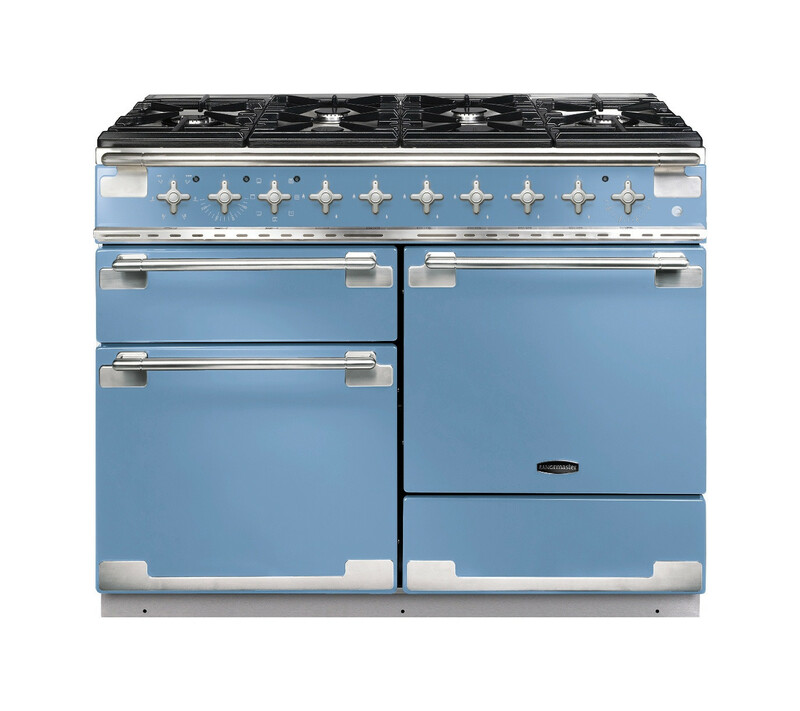 The Rangemaster Elise 110 Dual Fuel Range Cooker in gorgeous soft china blue looks fantastic in modern and traditional kitchens alike. When you buy a Rangemaster you can be assured of top quality design and production and the Rangemaster Elise 110 Dual Fuel China Blue Range Cooker is no exception. A full size cooker range, the Rangemaster Elise 110 Dual Fuel China Blue Range Cooker, has two deceptively large oven spaces, both boasting an impressive 73 litre capacity. Other practical functions include an electric griddle, browning element and a roomy six burner hob. There are many other intelligent and functional design ideas installed within the Rangemaster Elise 110 Dual Fuel China Blue Range Cooker that will revolutionise your cooking for the better.